This easy recipe for baked pumpkin seeds was originally posted by Valerie from Montreal, Quebec. If you have bought a pumpkin and don’t want to discard the seeds here is a great suggestion. 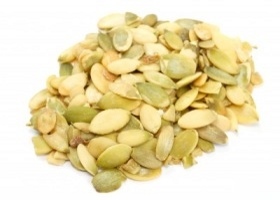 Pumpkin seeds are very healthy for us and make a fantastic snack. You can buy them in the health food store, but making them yourself is easy and so economical. The ingredients are simple – pumpkin seeds and salt. That’s it. Place the seeds on a baking pan, salt them and bake in the oven at 325°F until they are dry and crispy. Bake for about 30 minutes then check for doneness. When the pumpkin seeds are crispy and dry, you can also add barbeque seasoning or another of your favorite seasonings, if desired. Place the seeds on a baking pan, salt them and bake in the oven at 350°F until they are dry and crispy. Flavor the seeds with whatever flavorings you desire: hot paprika if you want it really hot, Zaatar seasoning for the flavors of the Middle East, garlic powder or onion powder. Other recipes add butter to the seeds before baking and you can certainly do that. This recipe though has far less fat and is just as tasty in my opinion. This is a great, healthy snack that kids and adults alike will love. Pumpkin seeds are SO healthy for us and this low fat way of roasting them, with just a bit of salt added to bring out all the flavor, is fantastically healthy and delicious. This healthy snack recipe is perfect for many special diets. For those needing gluten free recipes, low carb recipes or diabetic recipes, it’s a wonderful, healthy snack recipe. Baked pumpkin seeds are a great vegetarian snack. 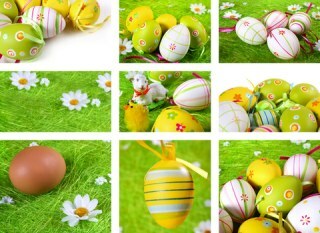 For more vegetarian recipes, look here.